A discussion this morning about Canned Heat and their Bluesologist-Guitarist Blind Owl led me to do a little internet search. Never knew one of Blind Owl's axes was a Mustang. And found this list that expands the usual A-list of Mustang slingers: Jimi Hendrix, John McLaughlin, John Fogerty, Kurt Cobain, Thurston Moore, Lee Ranaldo. Mark Arm and Steve Turner (Mudhoney). Some of you know, several years ago The Guitar Gods led me to my beloved all-original '65 Mustang. I thought Hendrix was more a Duo Sonic player. In any case, the humble Mustang was the guitar of more highly respected artists than I was aware of. I guess the short answer is that all those reports we're alluding to in this thread are sort of correct. One of those pics even shows him playing a jag! A red Mustang that belonged to Hendrix was sold on eBay by Mitch Mitchell some years back, who it ended up with by default in the Experience days. He said Jimi used it in the studio, as that link above details. The Duo and JM were guitars he had in the early days... likely before he found his first 3TS pre-CBS Strat, or before he could afford to buy bunches of new ones like they were bananas. 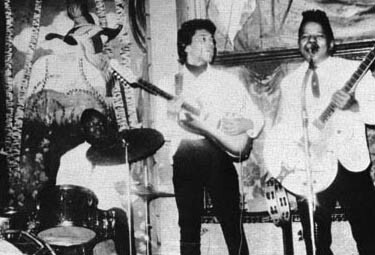 Muddy Waters played a Mustang? The vintage Mustang is lighter than the RIs, I believe. Vintage or reissue, it's a small guitar compared to a Strat. And the neck's not very wide...I'm 6' and 183 lbs and it's a bit small for me, but I'm used to it and have always preferred lighter guitars. Semi-hollowbodies like the Gibson BluesHawk. Even my Les Paul Special is just 8 pounds.